Administrative Law Judge Elsa H. Jones heard this matter on July 23 through July 27, 2007, and August 27 through 29, 2007, in Cerritos, California. Student (Student) was represented by Candis Watson Bowles, Attorney at Law. Student’s grandfather, Eugene Willingham, Sr. (Grandfather) attended nearly the entire hearing, and his mother, Euniece Willingham (Mother), attended portions of the hearing. 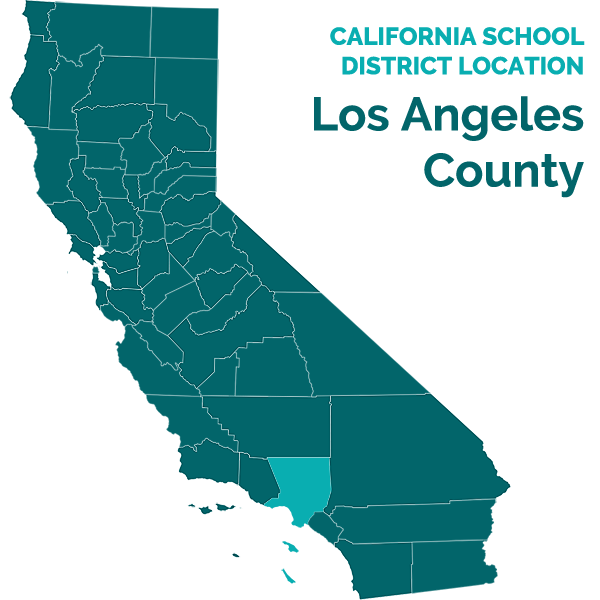 Norwalk-La Mirada Unified School District (Norwalk) and ABC Unified School District (ABC), (collectively, the Districts), were represented by Patrick J. Balucan, Attorney at Law, of Atkinson, Andelson, Loya, Ruud & Romo. Cynthia Varga, Attorney at Law, of Atkinson, Andelson, Loya, Ruud & Romo also appeared on behalf of the Districts for portions of the hearing. Sheila Levy-Craven, the Director of Pupil Support Services for ABC, was present throughout all but one and one-half days of hearing. Patsy Jaimes, Supervisor of Special Education for ABC, attended the hearing for a brief period of time. Deborah Harris-Meek, Director of Special Education for Norwalk, was present for most days of the hearing. Daniel Orosco, Program Coordinator, Special Education for Norwalk, and Patricia Hammond, Program Facilitator, Special Education for Norwalk, each attended the hearing for brief periods of time. Dionesh Sharma, Educational Consultant for the Los Angeles County Department of Children and Family Services (DCFS) was present as an observer on the morning of the first day of hearing. On March 15, 2007, OAH received Student’s request for due process hearing (complaint). The matter was continued on May 8, 2007. On May 10, 2007, Student filed an amendment to his complaint, clarifying that the complaint was filed by and through Grandfather, Student’s legal guardian, and Mother, the holder of Student’s educational rights. At the conclusion of the hearing, the parties stipulated that the matter would be continued to September 12, 2007, when their closing briefs would be due, and that the Decision would be due on October 10, 2007. The parties submitted their closing briefs on September 12, 2007. The record was closed and the matter was submitted on that date. 1. Did Norwalk deny Student a FAPE during the 2005-2006 school year by violating its child find obligation? 2. Did Norwalk deny Student a FAPE during the 2005-2006 school year by failing to perform a functional analysis assessment (FAA) of Student? 3. Did ABC deny Student a FAPE during the 2006-2007 school year by failing to properly assess Student? 5. Did ABC deny Student a FAPE during the 2006-2007 school year by offering placement in a general education classroom with a one-to-one aide and by failing to offer social/emotional support services that met Student’s unique needs and were reasonably calculated to provide educational benefit? 6. Did ABC deny Student a FAPE during the 2006-2007 school year by failing to perform an FAA? 1 At hearing, Student presented some evidence regarding the eligibility category of emotional disturbance. However, Student’s complaint specifically refers only to his eligibility under the category of OHI, and no evidence was presented at hearing that he should have been found eligible for special education under any other category. Therefore, this Decision will focus on the category of OHI. 2 More specifically, a grade of 3 means that Student met grade level standards. 4 While the psychoeducational assessment was underway, Grandfather sent a letter dated December 6, 2006, requesting that Student be assessed for a learning disability. 5 The report is dated February 2, 2007, but that is merely the date of the IEP meeting at which the report was discussed. 7 No other evidence was presented as to the Connors’ Ratings Scales forms, including whether they were ever completed. 8 The IEP did not describe the trauma. At hearing, the evidence demonstrated that Mother had been a victim of domestic violence and that, over spring break, Student had seen the injuries Mother had sustained during the abuse. 9 No representative of DMH was called to testify at hearing. 10 A Special Progress Report regarding math was admitted into evidence at hearing. No Special Progress Report regarding reading was offered into evidence. 11 No report by Dr. Daniels was offered into evidence at hearing. 12 Students with ADHD are sometimes also found eligible for special education if they meet criteria for specific learning disabilities. (Ed. Code, § 56339, subd. (a).) Since Student does not contend that he was eligible for special education as a student with SLD, this Decision does not discuss the SLD eligibility criteria. 13 The behavioral support plan (BSP) which was formulated for Student at Nixon is not the same as the BIP. A BSP may be formulated for any child, regardless of whether the child has been found eligible for special education. A BIP is designed for a student who has been found eligible for special education, and it must meet certain legal requirements as set forth in California Code of Regulations, title 5, section 3052. Student contends that he is entitled to compensatory education, at the expense of Norwalk and ABC, an independent FAA at the expense of Norwalk and ABC, and placement in a therapeutic non-public school (NPS), at the expense of Norwalk and ABC. Student contends that he was eligible for special education while attending school in Norwalk, and that his behaviors were such that Norwalk had an obligation to assess him, to determine whether he was eligible for special education. Student also contends that Norwalk had an obligation to perform an FAA. Additionally, Student contends that he was eligible for special education while attending school in ABC under the category of OHI, and that ABC did not properly assess him in all areas of suspected disability and did not initially find him eligible for special education. Student further contends that ABC denied him a FAPE by placing him in a general education classroom with a one-to-one aide who was not qualified to meet Student’s unique behavioral needs. Student further contends that ABC should have performed an FAA assessment. Norwalk contends that its personnel did not reasonably suspect that Student had a disability so as to require special education services, and that it was not required to perform an FAA. Norwalk further contends that Student was not eligible for special education services during the time that he attended school in Norwalk. ABC contends that it appropriately assessed Student, and that it properly found Student eligible for special education under the category of OHI. ABC further contends that the services it provided to Student during the 2006-2007 school year constituted a FAPE in the least restrictive environment (LRE). ABC further contends that the instructional and behavioral approaches specified in Student’s IEP were effective, and that Student’s behaviors did not require that an FAA be performed. 1. Student is a nine-year-old boy, who was born on May 13, 1998. Until June 2006, the completion of his second grade year, he resided with Mother in Norwalk. On approximately June 27, 2006, based upon proceedings involving DCFS, Grandfather was awarded physical custody of Student, and Student was removed from Mother’s care. Student has resided with Grandfather in ABC since that time. In September 2006, Student enrolled in Nixon Elementary School (Nixon) in ABC, which he has attended through the present. While Student was attending school at Nixon, a health professional formally diagnosed Student with attention deficit hyperactivity disorder (ADHD). At an IEP meeting held on March 2, 2007, the IEP team at Nixon found Student eligible for special education and related services under the category of OHI. 3. Student attended first grade at Dolland during the school year 2004-2005. His teacher, Ms. Sampson-Thomas, had taught first grade at Dolland for approximately 12 years at that time, and had taught at Dolland for approximately 20 years. Ms. Sampson-Thomas was required to address Student’s behaviors daily. He was often distracted. He engaged in attention-getting behaviors and distracted other students. Sometimes he pushed other students. He violated classroom and playground rules, such as failing to raise his hand in class, failing to “take turns,” and lying. She thought some of his behavior was attention-getting. Ms. Sampson-Thomas would try to maintain his attention by moving him closer to her and by calling his name. She would give him time-outs and compel him to correct his mistakes.He was never suspended and no formal disciplinary action was taken against him. Ms. Sampson-Thomas felt he needed more assistance controlling his behaviors, as his behavior was interfering with his academic progress. Therefore, she initiated the convening of a Student Study Team (SST) meeting, which was held on February 24, 2005. At an SST meeting, a group of educational professionals meet with the parents, examine a student’s strengths and weaknesses, and try to develop strategies and plans to assist the student. Prior to the meeting, Ms. Sampson-Thomas had met with Mother to attempt to learn strategies for handling Student’s behavior. Mother had no suggestions. The SST meeting was attended by Student; Mother; Bart McNeil (Dolland’s principal); Ms. Sampson-Thomas; Ms. Haacker, a resource specialist teacher (RSP), who had experience with special education; an academic mentor; and an outreach consultant. The team reviewed Student’s assessment results. The team recommended that Mother call the school counselor to discuss counseling services. Mother wanted Student to be in a classroom with a stern teacher. Mother did not observe at home the behaviors that Student was demonstrating at school, such as his social aggression and his failure to make good choices. The team noted that Student’s strong-willed nature and his desire to do things “his way” were observed both at home and at school. The team suggested that Student use books on tape and various other strategies to assist him with reading and math, and noted that Student was not following through with an independent reading program whereby he was to read books at home. The team decided that Student would read the books with someone at school. Student requested that Mother visit the classroom. The team initiated a behavioral contract. 4. A follow-up SST meeting was scheduled and occurred on March 22, 2005. The same individuals who attended the initial meeting attended the follow-up meeting. The team noted that Mother had not been able to reach the school counselor, that Student’s class would not be changed from Ms. Thomas’s, that Mother had come to school once to help in class, and that the reading strategies had been implemented. The team did not refer Student for a special education assessment or for a behavioral assessment, and Mother did not request them. Ms. Haacker,the RSP teacher who attended both SST meetings, did not mention that Student had any need for special education. 5. At the time of the follow-up SST meeting, Student was making some academic progress. His behavior contract was somewhat effective, as his behavior was improving and he made his behavioral goals more days than not. Ms. Sampson-Thomas and Mr. McNeil felt that Student was capable of performing his schoolwork, and did not suspect him to have any disability. His academic progress was hindered by his behaviors, and by not receiving sufficient help at home with his schoolwork. Ms. Sampson-Thomas also believed that Student needed additional help with schoolwork at home, and he was not receiving such help. He was not turning in his homework. Student had a reading mentor during the second and third trimesters of first grade, and he seemed to work best in small groups or individually. His first grade report card reflects that, at the end of the school year, he received mostly 2’s (“Progressing”) in Reading, Written and Oral Language, and Mathematics, and did not achieve grade level standards in those areas. He achieved grade level standards in Listening and Speaking, History/Social Science, Science/Health, Physical Education, and Visual and Performing Arts. Under Work Habits, he received mostly N’s (“Needs Improvement”), but he received S marks for “Listens attentively and responds appropriately” and “Works productively in cooperative groups.” He received N marks in all “Homework” categories, and in all “Citizenship” categories, except “Respects all school personnel,” in which he received an S-. Based on the comments Ms. Sampson-Thomas made after each trimester, Student showed growth in reading over the school year. She recommended that he practice reading and math during the summer and that he attend summer school. There was no evidence that Student attended summer school between his first and second grade years. Ms. Sampson-Thomas believed that he could be promoted to second grade. She felt that children develop differently at different times, and that Student might just have been developing more slowly than other children. She did not regard this as a disability requiring special education. 6. The term “child find” refers to the affirmative, ongoing obligation of school districts to identify, locate, and assess all children with disabilities residing within their jurisdiction who are suspected of having disabilities and who need special education as a result of those disabilities. More specifically, if Norwalk had reason to suspect that Student had a disability and that special education services may be needed to address that disability, the District had an obligation to assess her, as a first step in providing a FAPE. The relevant inquiry is whether the child should be assessed; not whether the student will ultimately qualify for services. The failure to assess is a procedural denial of FAPE. A procedural denial of FAPE is actionable if it deprived Student’s parents of the opportunity to participate in an IEP, or deprived Student of an educational opportunity. 7. Student attended second grade at Dolland during the first part of the 2005-2006 school year, when he was seven years old. Student was one of several children with behavioral problems in his second grade class, which was taught by Ms. Estes. At that time, Ms. Estes was entering her 12th year of teaching, most of which had been spent teaching second grade at Dolland. Student was disruptive in class. For example, he would poke other children when the lesson was being taught, instead of listening to the lesson. Then, when it was time for the students to work on the lesson, he would continue to distract the children around him, and would ask for the teacher’s help, because he had not paid attention to the lesson in the first instance. Ms. Estes was aware of Student’s conduct in first grade, and she therefore developed a behavioral contract for him. The initial behavior contract was too general and was not effective, so she modified it. Under the modified behavior contract, Student received points for performing a variety of small daily tasks (e.g., lining up, sitting at desk, behaving well at recess). Recess was difficult for Student, as he often acted aggressively towards other students. 8. During second grade at Dolland, Student had three referrals for discipline. On September 27, 2005, he choked another child while playing handball. Student initially refused to admit to his conduct. Based on this behavior, he was isolated for recess and lunch the next day. On October 7, 2005, he was again referred for discipline for choking another child while playing handball, and was isolated for recess and lunch for three school days. On December 15, 2005, he received a discipline referral for pushing another student to the ground and kicking other students in the backs of their feet while in the lunch line. As a consequence, Student was compelled to write an apology to the child whom Student had pushed, and to stay in the school office during lunch that day. No SST meetings were held while Student was in second grade at Dolland, but a parent-teacher conference occurred on December 7, 2005. Mother, Ms. Estes, and Mr. McNeil attended. The parties discussed Student’s difficulties in staying on task and completing work, and a behavior contract. Ms. Estes did not consider Student’s behavioral difficulties remarkable. Approximately six out of 20 children in her class that year had behavior problems. 9. Ms. Estes felt that Student’s academic performance at Dolland during second grade was not out of the ordinary, given that it only reflected the first trimester. Ms. Estes felt that first trimester grades are lower for many children, because they need to adjust to the new teacher, to the way the class is conducted, and to a different set of classroom circumstances. Student obtained mostly 2’s (“Progressing”) and some 1’s (“Insufficient progress”) and 3’s (“Competent”)2 . He received grades of U (“Unsatisfactory”) in all categories of “Work Habits” and “Citizenship.” He had turned in nearly all of his homework and received an S and an S- in the “Homework” categories. Student had difficulty when new material was introduced. Ms. Estes’s comments on his report card noted that he was showing progress, although he had some trouble sounding words out, and difficulty with math reasoning and data analysis. He lost most of his materials in science, negatively affecting his grade. She noted that Student’s easy distractibility and lack of focus on his tasks impeded Student’s progress. He didn’t organize his materials, he often lost things, and he had many uncompleted projects. 10. Overall, Ms. Estes considered Student “a very average boy who had gotten into bad habits,” such as being dependent upon extra help with his schoolwork. She felt that he was capable of performing his schoolwork.She did not consider him a candidate for special education. 11. In January 2006, Mother transferred Student to D.D. Johnston Elementary School (Johnston), his home school, because she was having health problems and she required Student to be closer to home. Student enrolled at D.D. Johnston on January 11, 2006, and he was placed in Ms. McTigue’s class. 12. After his enrollment at Johnston, Student’s behavioral issues manifested themselves almost immediately. In general, he started fights with or threatened other students, and then lied about his conduct. A log of his conduct, maintained by Ms. McTigue, reflects several aggressive incidents that resulted in discipline. On January 12, 2006, he was sent home “for violent behavior.” On January 20, 2006, he was sent home for hitting a boy at recess. On January 25, 2006, he hit an older student before school started, resulting in a two-day suspension. This was Student’s first documented suspension from school. 13. On January 26, 2006, the school convened an SST meeting, whose attendees included Mother, Ms. Chavarin-Lopez (the school principal), Ms. Webster (the school psychologist), and Ms. McTigue. At the meeting, the team learned that Student was sexually abused when he was four years old, and had never received counseling for that event. The team also noted that Mother had serious health problems. Mother mentioned Student’s aggressiveness at Dolland. The team noted that Student had begun a behavior contract that was somewhat effective, and was using a timer for homework. The team noted that Student fought with other students, lied about his behavior, and that other parents had complained that he threatened another child. The school did not have a counselor available. The team referred Mother to Sarah Center, which specializes in counseling sexually abused children, and recommended that Mother attend a Help Line parent presentation meeting for further counseling assistance. The team agreed to modify Student’s behavior contract, and agreed that Student’s teacher would give behavioral instruction to Student. The team also suggested that Mother consider a sports program. The team felt that there were strong external factors affecting Student’s behavior, and considered Student to be attempting to seek attention by his behaviors, as opposed to the behaviors being due to a disability. There was no discussion of special education assessment, an FAA, or eligibility for special education at the meeting. The team did not consider Student’s academic performance to be a problem and did not feel that Student had any learning difficulties. He had not been at the school long enough to consider whether he would be eligible under the category of emotional disturbance (ED). Ms. Chavarin-Lopez did not feel there was any need for a psychoeducational assessment. Ms. Webster, who had been a school psychologist for approximately seven years at the time, did not believe that Student had a disability to qualify him for special education. She had not reviewed his prior records, since he was only at Johnston for a short while before the SST meeting, but she did not believe that he had any learning difficulties. His behavior contract was beginning to be effective, which indicated to her that he probably was not a student with ED, although she did not know him for a sufficient amount of time to assess for ED. 14. School personnel felt that Student was not receiving support at home with respect to schoolwork and his behavior issues. Several neighbors had reported to Ms. Chavarin-Lopez (at an unspecified time) that Student was wandering the streets in his underwear early in the morning, visiting their homes, and stealing. 15. There was conflicting evidence as to whether Mother contacted the Sarah Center after the SST meeting. The evidence was undisputed, however, that Mother never followed up on any contact or made any serious efforts to obtain its services. She did not attend a Help Line meeting. Mother attended school for meetings and, on at least one occasion, to observe Student. At home, Student could be aggressive with other children, but Mother did not feel that Student demonstrated the same behavioral control problems at home as he did at school. 16. After the January 26, 2006 SST meeting, Student continued to misbehave. The log stated that on February 16, 2006, Student was sent to Ms. Sundheim’s class for supervision for lunch and recess, because he needed “constant supervision by a licensed professional.” Ms. Sundheim was a special education teacher. On February 23, 2006, Student was suspended for two days for bullying two students and hitting and spitting at one of them. On March 2, 2006, Student was sent home for hitting a student. On March 2, 2006, he hit a student, was sent home early, and received an in-house suspension. On March 6, 2006, Student fought with another student in the school yard, and Student punched the other student in the eye area, leaving a mark. Student had a small cut on his elbow, which the other student had said occurred when Student was chasing him and Student fell. Student denied this version of events, and said that the other student had hit Student. Student was suspended for two days. As a result of this incident, Ms. Chavarin-Lopez referred Student to a District Guidance Committee hearing. District Guidance Committee hearings are disciplinary interventions, and principals refer Students to District Guidance Committee hearings when there is a serious behavioral incident which might lead to suspension or expulsion. Ms. Chavarin-Lopez recommended to the District Guidance Committee that Student be transferred to another Norwalk elementary school. District personnel consider recommendations that a Student be transferred to another school when there is a likelihood that a student would be stigmatized by other children if the student were to stay at the same school, or when there was the possibility that the student would benefit from a “fresh start” at another school. It is an alternative to suspension or expulsion. On March 9, 2006, the District Guidance Committee met and decided to transfer Student to New River Elementary School (New River), and that he be placed on an attendance/behavior/academic contract. The Committee also recommended that he receive anger management counseling from Helpline Youth Counseling. 17. Student’s report card from Johnston reflected his second trimester grades. He received mostly 2’s with some 3’s and 1’s. He obtained nearly all U’s in the areas of “Work Habits,” “Homework,” and “Citizenship.” The teacher comments mentioned that Student was having difficulty completing classroom assignments, which had negatively affected his academic progress. The teacher also noted that Student was having difficulty returning homework in a complete and timely manner. Student’s distractibility and lack of self-control with peers were noted, and that his suspensions and early dismissals for misbehavior on the playground had negatively affected his test completion. The teacher comment also stated that Student responded well in the short-term with positive rewards for improved classroom manners. 18. Student enrolled at New River on March 13, 2006. He was kept off of the playground during his first week at New River. Thereafter, an aide was assigned to shadow him on the playground. These measures were to ease his transition to New River, and were typical when a Student with behavioral problems was enrolled on campus pursuant to decision of the District Guidance Committee. On April 4, 2006, Student brought a plastic gun to school, and used it to shoot projectiles in the restroom. He shot the pistol at two other students, but no pellets were discharged. Student denied that he had brought the gun to school. This is the only documented incident of any misbehavior by Student at New River, and the only incident that Ernesto Centeno, the principal of New River, could recall. Due to the serious nature of the offense, Mr. Centeno believed that he was legally required to refer Student to the District Guidance Committee. In gathering the information to refer Student to the District Guidance Committee, Mr. Centeno learned that a school bus driver had orally reported that Student had thrown a rock at another student, but the bus driver had never filed a written report of the incident. In his referral to the District Guidance Committee, Mr. Centeno recommended that the Committee transfer Student to another elementary school. Mr. Centeno did not recall considering Student to have a disability or to require special education. He made no referrals for a psychoeducational assessment or an FAA. 19. On April 13, 2006, the District Guidance Committee met and decided to transfer Student to Morrison Elementary School (Morrison), also in Norwalk. The Committee also decided that Student be placed on an attendance/behavior/academic contract. The Committee also recommended that Student receive anger management counseling from Helpline Youth Counseling, and that his parents attend parenting classes. Shortly after the Committee decision, Student enrolled at Morrison. Ms. Guerrero, Morrison’s principal, placed Student in a structured class taught by Mr. Gonzales, who Ms. Guerrero described as a “strong male teacher.” Mr. Gonzales never mentioned to Ms. Guerrero that Student had any disability that required special education, and nobody at Morrisson referred Student for an SST meeting, a psychoeducational assessment or an FAA. While at Morrison, as at his previous schools, Student’s behavior was more of a problem on the playground than in the classroom. Student was aggressive and angry with other children on the playground. No party presented any evidence that Student was formally disciplined while at Morrison. Mother expressed concern to Ms. Guerrero regarding Student’s behavior, and Ms. Guerrero referred her to a program at Providence Community Services (Providence) which provides behavioral support. At no time while Student was enrolled in Norwalk did Mother request that Norwalk evaluate Student for special education services or request that Norwalk perform an FAA. 20. In June 2006, at the conclusion of the 2005-2006 school year, Student was removed from Mother’s home by the Los Angeles County Department of Children and Family Services. Student went to live with Grandfather in ABC. 21. Student contends that Norwalk should have assessed Student for special education and related services. Student’s expert, Terece Bell, Ph.D, a licensed psychologist, testified that Student’s behaviors warranted an assessment. Dr. Bell, who maintains a private practice and teaches courses at Alliant International University in assessments of children, received her B.A. in psychology at U.C.L.A., her M.A. and Ph.D. in developmental psychology from U.S.C., and pursued two years of post-gradate training in clinical psychology at the California School of Professional Psychology. Dr. Bell’s opinions were based upon a review of a selection of Student’s educational records, a 45-minute observation of Student in his summer school math class at ABC, brief written comments sent to her by Mr. Mazur, the ABC math teacher whose class she observed, an approximate 20-minute telephone conversation Mother, and two telephone conversations with Grandfather totaling approximately 45-minutes. Dr. Bell did not interview any of Student’s teachers in Norwalk, and she did not assess or interview Student. 22. Dr. Bell asserted that Student’s behavioral problems were noticeably present in first grade, and were extremely serious in second grade. Student not only struggled with behavior, but also academically, which could indicate that his behavior and social/emotional status were affecting his academics. Dr. Bell was particularly concerned that Student did not take responsibility or demonstrate remorse for his actions. She was critical of the SST teams at Norwalk because they did not arrange for counseling, but rather placed the burden on Mother to contact the counselor. 23. Ms. Bell testified in an honest, forthright, and thoughtful manner. However, Student did not prove that Norwalk had reason to suspect that Student was a candidate for special education during the 2005-2006 school year, such that he required a psychoeducational assessment to determine eligibility. Student’s behavior at school was troubling, but its pervasiveness was in question. His behavior was manageable in the classroom, and he generally only had problems during unstructured time. Mother, at least at the time of the first SST meeting, had denied that Student’s problem behaviors occurred at home. Furthermore, no physician, or any other person, had diagnosed Student with any disorder, including ADHD, while he was enrolled in Norwalk. 24. Additionally, Student’s home life was troubling. During the latter portion of second grade, at the time that Student’s behaviors were attracting the most disciplinary attention at school, Student’s mother was in ill health, and Student was about to be legally removed from his home. Neighbors had complained to Ms. Charvarin-Lopez that Student was neglected and unsupervised at home. School personnel believed that Student was not receiving necessary help with schoolwork at home. Student contends that Norwalk personnel only focused on whether student had a learning disability in considering whether Student should be identified as a possible candidate for special education. The evidence does not support this contention. Most of the teachers and staff at Norwalk who were evaluating Student’s behaviors were very experienced. Some of them were trained in special education. Some of them knew Student and his Mother, and were aware that there were problems in his home environment. With all of their experience, training, and knowledge of Student, none of them considered Student to have any disability, including an emotional disturbance, which would warrant an assessment for special education. Rather, Norwalk personnel believed that Student’s behavioral difficulties were due to external factors, and believed that if his behavior could be controlled, his academics would improve. Their beliefs were not unreasonable based upon their information at the time. 25. In contrast, Dr. Bell did not interview the Student. Dr. Bell did not interview any Norwalk staff, nor review his complete educational records. Dr. Bell’s opinions were rendered with the benefit of hindsight, knowing that Student had been formally diagnosed with ADHD, and knowing that his behaviors would eventually escalate to the point that he would be found eligible for special education, all as described below. All of these factors tend to diminish the weight of her opinion regarding the actions taken by Norwalk. Beyond Dr. Bell’s opinion, Student presented no specific evidence that Norwalk personnel had a reason to suspect that Student had a disability that might require special education, such that they should have performed a psychoeducational assessment. 26. An FAA is performed and the Behavioral Intervention Plan (BIP) which is derived from the FAA occur when the student exhibits a serious behavior problem that significantly interferes with the implementation of an Individualized Education Program, (IEP). The IEP is developed when a Student is found eligible for special education. An FAA is justified when the IEP team finds that instructional/behavioral approaches specified in the student’s IEP have been ineffective, or after a parent has requested an assessment. The failure to perform an FAA when one is warranted is a procedural denial of a FAPE. A procedural denial of a FAPE is actionable if it deprived Student’s parents of the opportunity to participate in an IEP, or deprived Student of an educational opportunity. 27. An FAA can be performed as part of an evaluation as to whether a student is eligible for special education, or it can be used to evaluate a student who has already been found eligible for special education. As was discussed above, Norwalk did not have a duty to assess Student so as to determine whether he was eligible for special education. Nor did Mother request Norwalk to perform an FAA. Under these circumstances, Norwalk had no duty to perform an FAA. 28. Before a student is placed in special education, the district must conduct an assessment of the student, including an assessment of all areas of suspected disability. No single procedure may be used as the sole criterion for determining whether the student has a disability, or whether the student’s educational program is appropriate. Assessors must be knowledgeable and qualified, and they must use a variety of assessment tools and strategies. 29. Eligibility for special education services requires that the student meet the statutory criteria for eligibility in a particular disability category, and, by reason of the disability, the student needs special education and related services. For all eligibility categories, unless a student otherwise meets the criteria of an eligibility category, a student is not disabled if the student’s educational needs are due primarily to social maladjustment, or environmental, cultural, or economic factors. 30. A student meets eligibility criteria as a student with OHI if he has limited strength, vitality, or alertness, due to chronic or acute health problems. ADHD is not, by itself, a specified disability that qualifies a child for special education. However, a child can qualify for eligibility as OHI if he has ADHD, because his disability-related distractibility can cause him to have limited alertness with respect to his educational environment and thereby demonstrate a need for special education and related services. 31. At the beginning of the 2006-2007 school year, when Student was eight years old, he commenced third grade at Carver Elementary School (Carver), his home school in ABC. Due to over-enrollment at Carver, ABC transferred Student to Nixon Elementary School (Nixon), which he commenced attending on September 21, 2006. He was given placement tests in reading and math. He was placed in Ms. Corrigan’s classroom, which contained approximately 20 students. At the time, Ms. Corrigan was in her ninth year of teaching third grade at Nixon. Until approximately January 2007, Student was assisted on campus twice a week by Jasmine Sanders, a behavioral aide from his program at Providence, who also assisted Student at home. While he was attending Nixon, Providence also provided him a therapist, Melanie Palmer. Student was in Ms. Palmer’s care until approximately January or February 2007. 32. In general, Student displayed aggression toward peers and he was unable to get along with peers on the playground. He was disruptive in class and he could not sit still. Ms. Corrigan seated him with another student to help keep Student organized and on task. She also assigned other students to watch Student during recess. She also implemented a behavioral contract, which included daily communications between home and school. 33. Shortly after arriving at Nixon, Student began to commit disciplinary offenses. On Ocober 3, 2006, he was denied recess for three days because he hit another student on the back of the head while disembarking from the bus at school. On October 12, 2006, he pushed a student during lunch recess while playing handball, and he placed another student in a chokehold on the bus. He was denied recess for one week, was given an assignment in the school office, and was fined $100 in “third grade bucks.”3 On October 24, 2006, Student kicked a student while standing in line. Student was given a time-out, was denied recess, and was given an in-house suspension. 34. In approximately mid-October 2006, Student commenced group counseling and individual counseling with Natalie Janzen, a school counseling intern and psychological intern assigned to Nixon and other schools in the District for the 2006-2007 school year. At Nixon, Ms. Janzen was supervised by Ms. Chang, the school psychologist. Ms. Corrigan referred Student for these services. The group counseling met for 30 minutes, once per week, and covered anger management, social skills, and study skills. The individual counseling covered self-esteem and motivation and Student attended one time per week, for 20 minutes each time. The group counseling continued through the end of May or beginning of June; the individual counseling continued into June. 35. On November 1, 2006, Student stole “third grade bucks,” some of which he disposed of in the school bathroom and some of which he threw behind a trash dumpster. This incident prompted an SST meeting and an in-home suspension. The SST meeting was attended by Grandfather, Ms. Sanders, Ms. Palmer, Ms. Corrigan, Ms. Chang,and Ms. Pringle, Nixon’s principal. Student’s bathroom privileges were restricted to use of the school office bathroom only. He was also no longer allowed to have “third grade bucks.” Instead, his transactions would be accounted for through his “bank account” book. On November 3, 2006, Student pushed another child in the face. He received a one-day home suspension, and was deprived of recess for a week thereafter. On November 9, 2006, a meeting was held at which a Behavior Support Plan (BSP) was developed for Student. Ms. Corrigan, Grandfather, Ms. Pringle, Ms. Chang, Ms. Janzen, and Ms. Palmer attended the meeting. 36. The BSP noted that Student’s aggressive conduct toward his peers impeded his learning in that Student was suspended from school twice since September due to his behavior. The BSP reported that Student seemed to have more difficulty during unstructured times, and that his behavior seemed designed to get attention from his peers, and to avoid taking responsibility for his actions. The BSP required Student to do various chores around school, such as take in the ball baskets when recess ends, and counting students for the teacher. The BSP team felt that Student needed to take responsibility for his actions, learn to tell the truth, and to use his words to obtain attention from his peers. The BSP proposed strategies such as Student expressing his anger and frustration towards his peers with words, and also using friendly language to obtain peers’ attention. The BSP provided that Student would be praised when he resolved conflicts using words, and he will earn “third grade bucks” by being on task, being gentle to his peers, and taking responsibility for his actions. A similar token economy system would be implemented at home. The BSP also provided that, if the poor behavior recurred, Student would be reminded to use his words, and, if he hurt another student, he would complete a special form that related his feelings to his behavior. The BSP would be cooperatively implemented by school staff, Student’s grandparents, and Providence staff. 38. Ms. Chang conducted the psychoeducational assessment. Ms. Chang is a credentialed school psychologist, who received her B.A. from the University of California at Berkeley, and her Masters at California State University, Hayward. 39. The psychoeducational assessment was commenced in November 2006, and the report was completed in January 2007.5 The assessments were performed by the Transdisciplinary Evaluation Team, which included Ms. Chang, Ms. Janzen, Ms. MacDonald (a resource specialist and special education teacher), the school nurse, and Ms. Corrigan. Student did not challenge the qualifications or training of any of the members of the Transdisciplinary Evaluation Team members who performed the assessments. 40. The assessment report noted that areas of concern included fine motor skills and behaviors and mentioned that Student was assessed for possible specific learning disability. The report noted that Student’s modifications included parent conferences, change of seating, modification of assignments, weekly counseling at school and with Providence, and individualized/small group instruction.In an interview, Grandfather had stated that Student’s behaviors tended to deteriorate after visitation with Mother and that Mother’s “mixed messages” to Student might have contributed to his misbehavior. Grandfather reported that Student was removed from Mother’s custody in June 2006 due to neglect. Grandfather did not believe that Mother would receive custody of Student for some time. The report noted that Student was receiving weekly counseling sessions at Providence as of June 2006, and received assistance from a behavior coach twice a week at school and at home. The report stated that Grandfather considered Student’s strengths to be his charming personality and his persistence. Grandfather stated that Student was articulate. Grandfather stated that Student’s weakness were listening to and complying with adults’ directions and his fine motor skills. Grandfather also was concerned with Student’s below grade level academic performance and defiant behaviors such as stealing and lying. Grandfather felt that Student had many learned negative behaviors, and related that Student had once threatened to kill Grandfather and Grandfather’s wife with a knife when he grew older. 41. Ms. Janzen performed a records review, noting Student’s attendance at four different schools during second grade, and his previous teachers’ comments on his report cards that he had difficulty following rules and getting along with others, he had problems on the playground, he distracted others, and he did not finish his work. Ms. Janzen stated that all of Student’s former teachers had expressed concerns about Student’s behaviors. Ms. Janzen reported that those behaviors, since kindergarten, included stealing, lying/denial, physical aggression towards others, vulgar language, defiance, and possession of a “fake” weapon. 43. Student’s cognitive ability was tested using the Matrix Analogies Test (MAT). He obtained a standard score of 100 (average range). His only non-average range subtest score was in Spatial Visualization, on which he performed in the low average range. Student was cooperative and demonstrated good attention and concentration during testing, although he seemed concerned about the manner in which the examiner was timing the test and that he would miss recess. Based upon his pattern of academic strengths and weaknesses, teacher and parent judgment, and his performance on the MAT, Ms. Chang concluded that student’s cognitive ability fell within the average range. 44. Academic achievement was assessed and observed by Ms. Corrigan and Ms. MacDonald, the resource specialist and special education teacher. Ms. MacDonald administered a set of tests from the Woodcock-Johnson III Tests of Achievement (W-J III). She concluded that, when compare to others at this age level, Student’s academic knowledge and skills, fluency with academic tasks, and ability to apply academic skills were all within the average range. Student’s performance was average in reading, math calculation skills, math reasoning, written language, and written expression. As measured by the standardized tests, as well as teacher observation and work samples, there was not a significant discrepancy between Student’s ability and achievement. 45. On the Developmental Test of Visual-Motor Integration (VMI), Student obtained a standard score of 86, which is in the low average range. An occupational therapist conducted an informal observation of Student’s fine motor skills, and determined that Student’s fine motor skills ranged from eight-years, five-months to nine-years, nine-months. He demonstrated poor attention to details for punctuation and spacing between written words. 46. The Comprehensive Test of Phonological Processing (CTOPP) measured Student’s phonological awareness, short-term memory, and ability to effectively retrieve phonological information from long-term or permanent memory and execute a sequence of operations quickly and repeatedly. His abilities in these areas were in the average range. 47. Observation of Student’s receptive and expressive language skills revealed they were commensurate with Student’s overall cognitive abilities and were age-appropriate. 48. Social and Adaptive Behavior was assessed in a variety of ways, including teacher observation, parent and student interviews, projective tests (Draw-A-Person, Kinetic-Family-Drawing, and Sentence Completion), the Behavior Assessment System for Children, Second Edition (BASC-2) Self-report-Child, and the Differential Test of Conduct and Emotional Problems (CT/CEP). 49. On the BASC-2, Student’s self-rating did not suggest any potential school, internalized, and/or emotional problems. However, he had a high score on the L-index, which is designed to detect fake responses. Ms. Chang reported that Student’s high L-index score might reflect below average insight into his own behavior and feelings, or an unwillingness to share information about himself. She suggested a daily or weekly report to parents to help Student improve his study habits and responsibility, and that Student be provided prevocational and vocational information and experiences to help him develop his strengths and interests and to increase his awareness of career opportunities. Ms. Chang also noted that Student’s social emotional issues needed to be closely monitored by social services, and that home and school should work together to assist Student in all areas. 52. Student contends that ABC’s psychoeducational assessment of Student was insufficient. Dr. Bell, Student’s expert psychologist, testified that Dr. Chang focused on Student’s possible eligibility under the category of specific learning disability, and did not focus as much as she should have on evaluating Student’s behavioral and emotional issues. Dr. Bell thought that a thorough evaluation of Student’s behavior and emotional issues was warranted, especially because Dr. Chang did not find a specific learning disability. Therefore, Dr. Bell concluded that Student’s behavioral and socio-emotional issues could explain Student’s poor classroom performance. More specifically, Dr. Bell asserted that Student’s “L” index on the BASC was at such a level that the test was invalid, and she criticized Dr. Chang for considering the results. Dr. Bell testified that the “L” index implied that Student lied about himself on the BASC, and that he would also lie on all tests directed to him. Dr. Bell also criticized Dr. Chang for failing to interview Mother, and for failing to administer the BASC to Student’s teachers, Mother, and Grandfather, since it is designed for obtaining information from multiple individuals, and for failing to interview Mother. 53. ABC did not deny Student a FAPE by failing to properly assess Student. Dr. Chang testified, as her report reflects, that she assessed Student’s emotional and behavioral status. She testified that she discounted Student’s BASC results, and, in any event, the BASC was not the only instrument she used in assessing Student’s emotional and behavioral status. She testified that she did not feel a need to administer the BASC to Ms. Corrigan or to Grandfather, because she was comfortable with the information they had already provided her of their views of Student. 54. Dr. Bell did not testify that had Dr. Chang performed the assessment as Dr. Bell suggested, Dr. Chang would have obtained different results. Further, as was noted above, Dr. Bell never assessed nor interviewed Student, as Dr. Chang did. Dr. Bell did not interview any of Student’s teachers at Nixon, or Ms. Janzen (the psychology intern who was counseling Student at Nixon), or Ms. Chang, or any of Student’s therapists from Providence. 55. The weight of the evidence bears in favor of the conclusion that Ms. Chang appropriately assessed Student in all areas of suspected disability. Ms. Chang’s assessment did not only focus on SLD. Rather, her assessment considered Student’s behaviors and social-emotional issues, and she used a variety of measures to evaluate them. Student is correct that Ms. Chang did not interview Mother, but she interviewed Grandfather, who was Student’s primary caregiver at the time. During the assessment Ms. Chang had obtained information from Ms. Corrigan and Ms. Sanders (Student’s behavioral specialist from Providence), and had also interviewed Student. Ms. Chang thereby obtained a variety of perspectives of Student without using the BASC. Mother testified at hearing, and Student produced no evidence that indicated how, if Ms. Chang had interviewed Mother, Ms. Chang’s report would have been different. Furthermore, there was no evidence that Ms. Palmer, Student’s therapist from Providence, who attended the February 2, 2007 IEP meeting at which Ms. Chang’s report was discussed, criticized either the methods of the assessment or Ms. Chang’s conclusions and recommendations. 56. A student is eligible for special education if the child needs special education and related services by reason of an assortment of disabilities enumerated in California and federal law. A student meets eligibility criteria as a student with OHI if he has limited strength, vitality, or alertness, due to chronic or acute health problems that results in a need for special education and related services. ADHD alone is not an eligibility category for special education. However, a student can qualify for eligibility as OHI if he has ADHD, because his disability-related distractibility can cause him to have limited alertness with respect to his educational environment, which can then demonstrate a need for special education and related services. 57. Unless a student otherwise meets the criteria in the eligible categories, a student is not disabled if the student’s educational needs are due primarily to social maladjustment or environmental, cultural, or economic factors. 58. While the assessment report was pending, Student’s behavioral issues continued. On December 14, 2006, Student stole “third grade bucks,” and initially lied about it. He received a two-day suspension, and was to write an apology to all parties involved. On January 26, 2007, Student stole a teacher’s pencil box from her classroom and then lied about it. Student received a one-day suspension for this conduct. On February 1, 2007, Student shoved another Student in the lunch line. The other student shoved Student in turn, and Student punched the student in the mouth. Student received a one-day suspension for this conduct. 60. Student contends that Student should have been found eligible for special education as a student with OHI at this IEP meeting. ABC did not deny Student a FAPE by failing to find him eligible for special education at the IEP meeting. The IEP team knew that Student had been diagnosed with ADHD. However, information from Grandfather and from Student’s history reflected that there were also many social and environmental factors that were impacting Student, including Student’s removal from his Mother’s care and the issues surrounding that situation, and Student’s multiple school transfers. Nixon was aware that there had been many recent changes in Student’s life. Grandfather had advised the school nurse that he believed Student’s negative behaviors were “learned behaviors.” Moreover, Student’s behaviors were more pronounced outside of the classroom than in the classroom. 61. Neither Dr. Bell’s testimony, nor any other evidence, demonstrated that the IEP team’s decision at the February 2, 2007 IEP meeting regarding Student’s eligibility was plainly wrong, based on the information the IEP team had at the time. Dr. Bell testified to her concerns that the pattern of Student’s behavior, and particularly his lack of taking responsibility for his conduct, demonstrated that he was “at risk.” She testified that Nixon was not providing Student enough support for his behaviors. Significantly, Dr. Bell did not testify that, at the time of this IEP meeting, Student met any of the eligibility criteria for special education services. There was no evidence that Ms. Palmer, Student’s therapist from Providence, or any other mental health professional from Providence had determined that Student was eligible for special education. Under these circumstances, there was insufficient evidence that Student had a need for special education and related services, so as to be eligible for special education. ABC did not deny Student a FAPE by not finding him eligible for special education as a student with OHI at the February 2, 2007 IEP meeting. 62. A school district provides a FAPE if the school district’s program was designed to address the student’s unique educational needs, was reasonably calculated to provide the student with some educational benefit, and comported with the student’s IEP. If the school district’s program meets these requirements, then the district has provided a FAPE even if the student’s parents preferred another program or methodology, and even if parents’ preferred program would have resulted in greater educational benefit. An IEP is evaluated in light of information available to the IEP team at the time it was developed; it is not judged in hindsight. 63. A student’s placement must be in the least restrictive environment. Removal from the regular education environment should occur only when the nature or severity of the student’s disabilities is such that education in regular classes with the use of supplementary aids and services cannot be achieved satisfactorily. The district’s choices of programs and methodology are entitled to deference, and the parents’ preferences in this regard are not relevant if the district is providing a FAPE to the child. 64. Student’s troublesome behavior did not cease after the IEP meeting of February 2, 2007. On February 8, 2007, Student stole a teacher’s tub of licorice candy and distributed it to students on the bus. Student received a one-day suspension and was ordered to replace the candy. 65. On February 14, 2006, Student set a fire in the boys’ bathroom during recess and lied about it. At first, Student stated that he smelled smoke while in the bathroom stall, and looked under the stall door. He reported that he saw a student, whom he could not identify, lighting a match to the toilet seat covers. Ms. Pringle found toilet seat covers and tools (wire-cutters and a screwdriver) in the toilet. Investigation revealed that the tools belonged to Grandfather, but even after that information was revealed, Student continued to deny responsibility for the event. Eventually, he admitted setting the fire, and offered several explanations for the event. These included that he was attempting to replicate a scientific experiment that he had learned about in a science assembly, and that he was trying to imitate a “South Park” movie. The tools that he brought to school were to be used to grasp the lit toilet paper covers and place them in the toilet. Student received a five-day in-home suspension as discipline for this conduct. This suspension was the last formal discipline that Student received at school through the time of the hearing. 66. At about this time, Student also had attempted to light a fire in the bathroom at home, and had attempted to light a decorative candle behind a sofa at home. 67. Nixon’s staff committed to preventing Student from engaging in another fire-setting event at school. On February 20, 2007, Grandfather, Ms. Wang, Ms. Pringle, and Ms. Palmer met to formulate a 504 Plan and to amend Student’s BSP. By that time, the school had received a note dated February 12, 2007, from E. Cynthia Cabrera, M.D., Student’s psychiatrist at Providence, confirming that Student had a diagnosis of ADHD (combined type) and that he took Adderall XR to control symptoms of inattention/impulsivity and hyperactivity. This note was the first documentation of Student’s ADHD diagnosis that was transmitted to the school from a treating physician. Student was diagnosed with ADHD sometime after June 2006, while Student was in Grandfather’s custody. In the note, Dr. Cabrera mentioned that a 504 plan would be very helpful to Student. 68. The 504 Plan (plan) noted that Student’s disability was ADHD, as documented by Dr. Cabrera. The plan stated that although Student’s learning ability was normal, he tended to be inefficient in managing his time and materials, he tended to have an impulsive style of thinking and response, and may have trouble with sustained attention. The plan noted the existence of the BSP, listed an assortment of classroom accommodations, mentioned that Student would have counseling sessions with the psychologist intern to address social skills, and listed the responsibilities of Student and his parents. The team updated the BSP to note that Student had set a fire in the boys’ bathroom at school and had played with fire at home as well. 69. In view of the fire-setting incident, Ms. Pringle, the school principal, considered recommending Student for discipline by the Student Evaluation Committee, but reconsidered and instead decided to convene another IEP meeting. The IEP meeting was held on March 2, 2007. Grandfather, an ABC administrator, Ms. Corrigan, Ms. Chang, Ms. MacDonald, and Ms. Pringle attended the IEP meeting. The IEP team found that Student was eligible for special education services as a child with OHI. The seriousness of the fire-setting incident had heightened the team’s concern regarding Student’s behaviors. The team noted that Student had not only set the fire at school, but had also demonstrated fire-setting behavior at home. The team placed Student in the general education classroom, with RSP consultation one time per week for 15 minutes, and language arts intervention for 30 minutes daily. The team considered and rejected placement in a Special Day Class (SDC). Grandfather signed the IEP and consented to it. The team agreed to provide Student with one-to-one paraeducator support. The team determined that Student could participate in statewide testing with the accommodations listed in the IEP, to include extended time to complete tests, tests to be taken in a small group or individual setting with the test broken into parts, and access to a separate testing area. The team also agreed that Student’s behavior seriously impeded his and others’ learning and required a BSP. Classroom accommodations included supervision during unstructured time, implementation of the BSP, instructions to be repeated, short breaks between assignments and tests, and reminders to be given about rules. The team incorporated into the IEP the BSP that was revised at the February 20, 2007 meeting. The team determined that, with the BSP, Student could be expected to comply with school rules. The team determined that Student had needs in the areas of Mathematics, Written Language, and Pre-Vocational/Career. Present levels of performance, goals, and objectives were set forth in these areas. The team advised Grandfather that it could make a referral to the Los Angeles County Department of Mental Health (DMH), but Grandfather advised that Student was under the care of Dr. Daniels, a psychologist at UCLA, who had offered to work with Student, free of charge, for approximately eight weeks. Therefore, Grandfather did not wish to refer Student to DMH. The team agreed to have a follow-up IEP meeting on March 28, 2007. 70. Also as a consequence of Student setting a fire in the school bathroom, Ms. Chang amended her psychoeducational assessment report. The amended report, which is dated March 2, 2007, the same date as the IEP meeting, described the bathroom fire incident, and summarized the outcome of the IEP meeting. The report stated that, due to the incident, the school staff and the IEP team decided that Student was eligible for special education under the category of OHI, and he would continue in the general education program with a one-to-one aide. The report noted that Student demonstrated poor judgment and required close monitoring. The report recommended a variety of classroom strategies to assist Student with attention, impulse control, and task completion, including seating Student near the teacher, giving him frequent opportunities to move around the classroom by giving him chores, making frequent eye contact with him while teaching, directing his attention, teaching him to keep track of assignments and how to organize his work, reducing the length of assignments, and giving directions one at a time. To assist Student in taking responsibility, Ms. Chang recommended that he be encouraged to ask specific questions when he required assistance. 71. On approximately March 15, 2007, Anthony Quinterro, the paraeducator and one-to-one aide, commenced supervising Student pursuant to the March 2, 2007 IEP. At the time of the hearing, Mr. Quinterro was in his third semester at Cerritos College, where he was studying to become a teacher. He graduated from high school in 2006, and had no teaching license or credentials. He was not trained in behavioral strategies and interventions. He was assigned to “shadow” Student and follow him throughout the school day. Generally, he was to make sure Student behaved and to keep Student on task. Mr. Quinterro served in this position throughout the remainder of the 2006-2007 school year, and then through the summer school session. Mr. Quinterro would report on Student occasionally to Ms. Pringle, and to Ms. Janzen. 72. ABC convened a follow-up IEP meeting on March 21, 2007, which was attended by Mother, Grandfather, ABC administrators, and the special education teacher. Mother waived attendance of the full IEP team. At the meeting, Mother requested that she be contacted through Grandfather. She also requested that the staff assist Student in developing organizational skills by faxing Student’s homework assignments to Grandfather, so that Student could be rewarded when the homework Student brought home matched the assignments that the school had faxed to Grandfather. Mother also requested that a daily communication log be faxed to Grandfather. Mr. Quinterro faxed such logs to Grandfather, describing Student’s activities, conduct, and homework assignments. 73. District convened another IEP meeting on March 28, 2007, to review Student’s progress and to determine whether the behavioral interventions were working. Mother, Grandfather, Ms. Chang, Ms. Pringle, Ms. Corrigan, Ms. MacDonald, and an ABC administrator attended the meeting. The team agreed that Student was being successful. Ms. Corrigan noted improvement in effort and school work. Student was named the “most improved student” of the month, which Ms. Pringle and Ms. Corrigan considered a “huge” accomplishment. Grandfather mentioned that the psychiatrist saw some progress, and that the psychiatrist felt that as the Student’s behaviors improved, his academics would improve. The team agreed to initiate a referral to DMH, and Ms. Somosi, an ABC administrator, was to schedule a monitoring meeting in April. 74. District convened another IEP meeting on April 24, 2007, to review Student’s progress. The meeting was attended by Mother, Grandfather, Mr. Pringle, Ms. Chang, Ms. Corrigan, and an ABC administrator. Ms. Corrigan reported that Student did well prior to spring break, but after spring break, he had difficulty focusing and completing his work, and he argued with Ms. Corrigan and the paraeducator. Homework completion was inconsistent. Ms. Corrigan also reported that Student’s aggressive behaviors had decreased over the last several months. Ms. Corrigan reported that Student had told her he was not taking his medication. Grandfather stated that Student was taking his medication. Grandfather advised that Student’s Mother had suffered a trauma over spring break, and that Student might be reacting to that trauma.8 The team agreed to refer Student to DMH pursuant to AB 3632, and Mother executed the referral. The team also recommended that an FAA be performed to analyze Student’s current behavior and to update the BSP. 75. On May 7, 2007, Ms. Corrigan sent a report to Grandfather, mentioning that Student’s classroom behavior varied drastically from week to week, and that he needed extra support and practice at home with math. 76. The IEP team met again on May 22, 2007, to review Student’s progress. Grandfather, Ms. Chang, Ms. Corrigan, Ms. Janzen, Ms. MacDonald, and an ABC administrator attended the meeting. The team noted that Student’s behavior had improved significantly since the last meeting. Student was on-task. He was not blurting out answers in class, but was raising his hand instead, and he was calm and compliant. Ms. Corrigan also reported on Student’s academic progress. Student had moved from a lower to higher reading group based on improved reading skills. His decoding and comprehension skills were at grade level. He had difficulty with written tests and completing written work, however, which Ms. Corrigan felt was due to motivation issues. Ms. Chang and Ms. Janzen had completed an FAA, and the BSP was revised in accordance with the data. The team considered the revised BSP to be inaccurate, however, because the decline in Student’s behavior after spring break had not continued, and his behaviors were less severe by the time of this IEP meeting. Therefore, the team agreed that the BSP would be revised at the June IEP meeting. The team noted that the DMH assessment was scheduled for May 29, 2007, and the team scheduled an IEP meeting for June 19, 2007. 77. The IEP team met next on May 29, 2007. Grandfather, Ms. Chang, Ms. Corrigan, Ms. Janzen, Ms. MacDonald, and an ABC administrator attended the meeting. The team met to review Student’s behavioral progress, to add social/adaptive goals to the IEP, and to revise Student’s prevocational goals. Because Student’s behavior had improved significantly over the last four weeks, the IEP team decided that the BSP dated May 22, 2007, and discussed at the May 22, 2007 IEP meeting, nor any other BSP, was needed at that time. The team noted that Student was responding positively to the behavioral contract and daily communication form, and that such gains should be maintained. The team also decided to add a prevocational goal to address Student’s work habits. 78. The team considered Student’s present level of performance in the social/adaptive area. Specifically, Ms. Corrigan reported that during May, Student had remained compliant and on task in accordance with his behavioral contract. Mr. Quinterro had been distancing himself from Student to test Student’s ability to self-regulate, and Ms. Corrigan reported that, during the previous week, Student had been successfully independently attending math and science classes. He had been rewarded for his good behavior by being permitted to participate in extra activities. He had been interacting better with his peers, and had been complimenting them. The team noted that it was important that Student maintain these gains. Student’s social/adaptive goals included receiving “smiley faces” on his behavior contract, and appropriate playground, lunch, and in-class interactions with peers. 79. The team discussed Student’s present levels of performance in the pre-vocational area. The team noted that Student improved in recording his homework assignments in his notebook, and had become more responsible in having the necessary materials for class. He continued to be inconsistent in returning completed homework, and the completed homework often lacked effort and quality. The prevocational goals therefore focused on Student consistently timely completing homework assignments that demonstrated “grade appropriate” work. 80. Ms. Corrigan reported that Student had had two “rough” weeks after spring break, but had been doing well since April 30. He was doing his work and not arguing with her. He had friends, and other students no longer complained about him during recess. Grandfather reported that Student continued to see Dr. Daniels on a weekly basis, and that Dr. Daniels wanted the one-to-one aide to recede to see how independent Student could be. Dr. Daniels was also interested in whether Student would have a one-to-one aide during summer school. 81. The IEP team met again on June 19, 2007. Grandfather, Ms. Chang, Ms. Corrigan, the special education/RSP teacher, and an ABC administrator attended the meeting. The team had intended to review DMH’s assessment, but the DMH representative did not attend the meeting. The team reviewed Student’s report card. He had made significant progress in math since the beginning of the year and his reading skills had also improved. Student continued to have difficulty with written language. His behavior had significantly improved. He followed directions, was focused, taking responsibility for his actions, and interacting appropriate with peers and adults. Homework completion had improved but was still incomplete at times. Attendance had also improved significantly since March. The team agreed to schedule a meeting at which DMH would attend to discuss the DMH assessment. 82. Lorah Joe, LCSW, assessed Student and wrote the report for DMH.9 DMH sent the report to Dr. Chang with a cover letter dated June 21, 2007. The assessment consisted of a records review, an interview with Grandfather, an interview with Student, and a telephone conference with Student’s private therapist, Dr. Daniels. The report noted Student’s history of stealing, lying, defiance, manipulation, aggressiveness with peers, and the fire-setting incidents in the bathrooms at school and at home. The report also noted that a steak knife had recently been found in Student’s possession in his bedroom, that Student had threatened his grandparents, and that, when confronted, Student denied any wrongdoing. The report noted that Student blamed others, including his sister, for his misbehavior and would show no remorse. Student’s grandparents reported that Student’s undesirable behaviors occurred on a weekly basis. 83. Ms. Joe’s report mentioned that Student had no contact with his father, who was incarcerated, and that there was a positive history of neglect, and physical and emotional abuse. The report stated that Student and his older sister had been removed from Mother’s care due to abuse and neglect, and that Student had three hours of supervised visitation per week with Mother. Grandfather reported that Student’s behavior escalated after visits with Mother. Therefore, visitation might be reduced. The report also noted that Student experienced difficulty adjusting to Grandfather’s home, and that Student reported that he wanted to return to Mother’s care. The report noted that Student was exposed to alcohol at birth, but that he did not use drugs or alcohol. 85. Ms. Joe described her interview with Dr. Daniels. The report noted that Student had been receiving individual therapy with Dr. Daniels since February 20, 2007. The report noted that Dr. Daniels was considering a diagnosis of Reactive Attachment Disorder and Fetal Alcohol Syndrome, because Student never fully bonded with Mother and he had been exposed to alcohol prior to birth. Additionally, Student witnessed domestic violence as a “young toddler/boy.” Ms. Joe noted that Dr. Daniels’s written report dated May 13, 2007, stated that Student continues to display inappropriate mood and affective, socio-emotional problems, and poor school performance.11 Ms. Joe noted that Student was taking Adderall, 20 mg., once a day. (The report does not mention that Student had ever taken Prozac, as Ms. Chang had noted in her initial report dated February 2, 2007.) Dr. Daniels identified specific triggers for Student’s behavior, such as if Student had a bad night, or problems in the morning before school, he would probably have a bad day at school. Additionally, Student would act out if he had been reprimanded for negative behavior or had visited with Mother. Dr. Daniels reported to Ms. Joe that it was important to provide Student a consistent structure which allowed expected behaviors to be discussed, rather than reprimanding him. 86. Ms. Joe summarized her interview with Grandfather. She reported that Student did not present with suicide/homicide ideation, and there was no history of obsessive or compulsive behaviors. Student’s judgment and insight were impaired, hygiene and grooming were fair. Student required daily reminders and prompts for hygiene and grooming. His sleep habits and appetite were fair. 88. Ms. Joe concluded that Student had an extensive history of serious and chronic emotional and behavioral problems which continued to interfere with his ability to benefit from his education. She noted that physical and verbal aggression, defiance, inability to concentrate, focus, pay attention, poor school performance, and family dynamics “may have contributed to poor coping skills.” Previous interventions, including special education placement, and school counseling may have had some past benefit, but Student continued to have serious socio-emotional behavioral problems. Therefore, she recommended that Student receive AB3632 services, to include outpatient psychotherapy. The report also recommended that medication be evaluated and monitored as needed and noted that Student’s grandparents could benefit from participation in his treatment plan. The treatment plan was recommended for a minimum of one year. General goals of treatment were to decrease instances of poor social skills, reduce instances of lying and stealing, improve compliance with rules and instructions, improve ability to express feelings appropriately, and improve Student’s ability to take responsibility for his actions. 89. On June 26, 2007, the District convened an IEP meeting to discuss the DMH report. The meeting was attended by Grandfather, Luis Pena (a representative of DMH), Ms. Chang, Ms. Corrigan, Ms. Pringle, and a District administrator. Mother could not attend, and Grandfather asserted that the meeting could proceed with Mother. Grandfather clarified that the incident regarding the steak knife mentioned in the DMH report occurred in November 2007, and that the incident regarding the fire in his home bathroom mentioned in the DMH report occurred in February 2007. Mr. Pena confirmed that Student qualified for AB 3632 services, to include individual therapy for 60 minutes per week, family therapy for 60 minutes per week, medication evaluation and monitoring on an as needed basis, and case management 15-30 minutes per week for school consultation and collateral contact with parent. Goals were set with respect to Student’s development of appropriate skills to cope with frustration, and to develop appropriate social skills with respect to peers. Grandfather stated that he would agree to the DMH services, but that he also wished Student to continue therapy with Dr. Daniels. Grandfather was unsure whether Mother would participate in the DMH family therapy. As of the time of the due process hearing, Mother had not consented to Student’s receiving any DMH services. 90. The team discussed Student’s progress. The team noted that Student’s behavior had improved significantly in the past two months. Areas of concern included Student’s being honest and taking responsibility for his actions, dealing with frustration, making friends, and respecting others’ property. 91. Student’s third grade report card demonstrated some progress in academics, and greater progress in social-emotional areas. Whereas his first trimester grades were mostly 1’s (Below grade level standard) in Reading, Writing, and Listening and Speaking, Science, and Mathematics, by the third trimester had mostly 2’s (Approaching grade level standard) in almost all areas of Reading, Listening and Speaking, a 3 (Meets grade level standard) in Science, and mostly 2’s and 3’s in Math, including a 3+. His Writing grades did not improve. His effort scores and social skills marks were all S (Satisfactory). His Study and Work Skills grades, which had previously been N’s (Needs Improvement) and “I’s” (Inconsistent), were raised, such that the N’s became I’s and the I’s became S’s. The only grade that declined from the first trimester grade was History/Social Science, which went from a 2 to a 1. His teacher’s comments indicated that he had made “much progress” during the year. Mr. Quinterro and Ms. Janzen also considered Student’s behavior to have markedly improved by the end of the school year. As of the time of the hearing, Student had not engaged in additional fire-setting activities, either at school or at home. 92. Student attended summer school in July 2007. Student’s summer school class included children from other District schools. Again, Mr. Quinterro served as his one-to-one aide. Mr. Quinterro faxed daily reports home to Grandfather, which revealed that Student was having difficulties with obedience and attention, especially at the beginning of the 14-day summer school period. Student’s behavior then improved, only to decline during the last four days of summer school. His behavior during the last four days of summer school influenced his summer school Language Arts teacher, Ms. Yang, to note on his “Summer School Intervention Report” that his behavior was inconsistent and that he had difficulties with social skills and being responsible on the playground. Ms. Yang is a fifth grade teacher at Carver, Student’s home school. Mr. Mazur, a fourth grade teacher at Carver, has taught for approximately 22 years. He taught Student’s summer school math class. Ms. Yang and Mr. Mazur noted on the summer school report that Student did not have difficulties with social skills and responsibility in class. Academically, he had improved in Math and “maintained” in Reading and Writing. 93. Student did not have behavior problems in Mr. Mazur’s class and he performed well academically there. He served as a peer tutor to other students who had not grasped the material as well as he did. Student demonstrated an eagerness to learn, and was in the upper-average range of the students in the Math class. Student also performed above the class average in reading and writing in Ms. Yang’s class. He was engaged, motivated, and on task, and would help other students with their assignments. His peers liked him. 94. Mr. Mazur had no concerns about Student’s ability to succeed academically in a general education fourth grade classroom. Ms. Yang was only concerned about Student’s potential for success in fourth grade because of his conduct during the last four days of summer school. Ms. Corrigan felt that, by the end of third grade, Student “really shined.” She was not concerned about Student’s ability to succeed in a general education fourth grade classroom. His fourth grade class would contain approximately 30 students, but his reading and math classes would be divided into smaller groups. 95. Student contends that the ABC District failed to provide him a FAPE, because he required a more restrictive placement and more services than the one-to-one aide and BSP provided by ABC in the general education classroom. Specifically, Student contends that the BSP was insufficient to address Student’s behaviors, and that Student required an aide who was a behavioral specialist, so that Student could learn to self-regulate. Student contends that his fire-setting demonstrated that he had very serious behavioral issues which were not addressed by his BSP, and Student criticized the revised BSP of February 20, 2007, for not addressing the fire-setting behavior. Therefore, Student contends that his IEP did not meet Student’s unique needs. 96. In this regard, Dr. Bell testified that fire-setting behavior can be pathological or non-pathological. According to Dr. Bell, repeated fire-setting behavior can generally be considered pathological, if it demonstrates planning and deliberation, and if the circumstances demonstrate an attempt to create a danger, or demonstrate a disregard for the danger created. Repeated fire-setting behavior can generally be considered non-pathological if it is generated by curiosity and interest in fire. 97. There was conflicting evidence as to whether Student’s fire-setting behavior was benign or indicative of a serious emotional problem that was independent of Student’s ADHD. There was no single explanation as to why Student set the fire, but all of the explanations in evidence reflect that Student set the fire out of curiosity or as an experiment. In Dr. Bell’s opinion, Student’s fire setting conduct was indicative of the pathological type, and was not associated with his ADHD, for several reasons. Student’s bringing tools from home and finding the time to go to the bathroom to light the fire indicates that the fire-setting was “planful.” Further, Dr. Bell testified that the conduct was potentially dangerous, and that Student initially lied about it. Dr. Bell also stated that Student’s history of abuse, neglect, and inconsistent parenting are associated in the research with such pathological behavior. All of these factors contributed to her opinion. Dr. Bell acknowledged that she was not certain that the conduct was pathological. 98. Ms. Bell’s opinion that Student’s fire-setting behavior was “planful” and indicative of a serious emotional problem is weakened by her failure to interview Student and ask him herself why he set the fire, why he stole the wirecutters and screwdriver from Grandfather’s toolbox, and the role of the tools in the fire-setting scenario. Student gave various explanations for his conduct after the event. The significance of the tools he stole is ambiguous. There was no clear evidence that Student had a serious plan to set a fire, or, if he indeed had a plan, what his plan was. 99. No evidence was offered as to why Student attempted to light the decorative candle. Further, there was evidence that the fire Student attempted to set in the bathroom at home was also as a result of an experiment that Student had seen. Additionally, all of these events occurred at about the time of the fire-setting incident at school. Further, Student has not engaged in any fire-setting behavior since February 2007. The weight of the evidence does not support the hypothesis that Student’s fire-setting behavior was indicative of a serious behavioral problem as opposed to demonstrating benign experimentation. 100. Ms. Chang testified that Student’s BSP did not address the fire-setting behavior, because a BSP is designed to regulate chronic behavior, and the fire-setting behavior was not chronic. There was no evidence that Ms. Palmer, who was present at the BSP meeting in November 2006, when the BSP was first formulated, and also at the meeting of February 20, 2006, when the BSP was revised, had any criticisms of the BSP. Under these circumstances, the BSP met Student’s needs. 101. Student presented insufficient evidence that his one-to-one aide did not meet his unique needs. Ms. Bell testified that Student was required to be taught self-regulation, and that a paraeducator is not trained in behavioral techniques and not qualified to teach self-regulation. The evidence demonstrated, however, that Student, with the assistance of Mr. Quinterro, Ms. Janzen, and his private therapist, was indeed learning how to self-regulate his behavior. By the end of the regular school year, Student’s behavior, both in class and on the playground, was largely under control. Student was calm and focused, he had friends, he was relating well with his peers, and his academic performance had improved. He still had behavioral setbacks, as evidenced by his behavior lapses in April and at the beginning and end of the summer, but his teachers agreed that he could be successful in fourth grade. Student has been offered continuing individual and family therapy by DMH, which was also designed to assist him in learning self-regulation, and he has declined those services. It is somewhat inconsistent of Student to assert that the he requires more assistance from ABC in learning self-regulation, while he has refused to take advantage of DMH’s services in this area. 102. Student also contends that he requires a more restrictive environment, with small classes and wraparound therapeutic services, such as a nonpublic school. The general education setting, however, provides the benefits of a less-restricted environment. Student had the opportunity to model his behavior after normal peers, and he demonstrated the ability to interact well with normal peers. His third grade class provided a small setting, and he will be in small groups for reading and math in fourth grade. Except for Dr. Bell’s testimony, Student presented no evidence that he requires an NPS placement. None of Student’s therapists testified at hearing. DMH, whose assessment was not criticized by Dr. Bell, did not recommend NPS services. The evidence demonstrated that Student can access his education in the less restrictive environment in which he has been placed. 103. As was discussed above, an FAA is performed and the BIP which is derived from the FAA is formulated when the student exhibits a serious behavior problem that significantly interferes with the implementation of an IEP. The IEP is developed when a Student is found eligible for special education. An FAA is justified when the IEP team finds that instructional/behavioral approaches specified in the student’s IEP have been ineffective, or after a parent has requested an assessment. The failure to perform an FAA when one is warranted is a procedural denial of a FAPE. A procedural denial of a FAPE is actionable if it deprived Student’s parents of the opportunity to participate in an IEP, or deprived Student of an educational opportunity. 104. Student contends that ABC should have performed an FAA. Student is correct. The IEP team agreed to perform an FAA, and did so. The IEP team abandoned the FAA because it was outdated. It was performed in April 2007, when Student was temporarily displaying particularly poor behavior as a result of his encounters with his Mother over spring break. Additionally, the IEP team decided to abandon Student’s BSP entirely, based on his good behaviors during May 2007. 105. The evidence demonstrated that Student’s emotional and behavioral problems are continuing. He has had numerous interventions during the past year, both school-based and home-based, including counseling, medication, a one-to-one aide, behavioral contracts, and behavioral support plans, but his serious socio-emotional behavioral problems persist. This was noted in the DMH assessment performed toward the end of the 2006-2007 school year, and was reflected by his conduct during the beginning and the end of summer school. Indeed, although the IEP team discontinued Student’s behavior support plan, the DMH assessment and the treatment goals based thereon demonstrate that behavioral support is necessary. Student’s conduct threatens the goals of his IEP, such as developing appropriate social skills around peers, staying on task in class, obeying adults, and properly and timely completing and returning homework assignments. There was much evidence that Student’s misbehavior can be serious, can lead to school discipline, and can adversely affect Student’s ability to access his educational program as set forth in his IEP. 106. There was no evidence that ABC’s failure to perform an FAA other than the one that it abandoned has deprived Student’s Mother or Grandfather of the opportunity to participate in the IEP process, or has deprived Student of an educational benefit. Therefore, ABC’s failure to perform an FAA (other than the one that it had abandoned) does not rise to the level of denial of a FAPE. Nevertheless, an FAA is warranted and necessary. 11. The IEP is a written document for each child who needs special education and related services. The contents of the IEP are mandated by the IDEA, and the IEP must include an assortment of information, including a statement of the child’s present levels of academic achievement and functional performance, a statement of measurable annual goals and objectives, that are based upon the child’s present levels of academic achievement and functional performance, a description of how the child’s progress toward meeting the annual goals will be measured, when periodic reports of the child’s progress will be issued to the parent, and a statement of the special education and related services to be provided to the child. (20 U.S.C. § 1414(d)(1)(A); 34 C.F.R. §§ 300.346, 300.347.) For each area in which a special education student has an identified need, annual goals establish what the student has a reasonable chance of attaining in a year. 16. An IEP is evaluated in light of information available to the IEP team at the time it was developed; it is not judged in hindsight. (Adams v. State of Oregon (9th Cir. 1999) 195 F.3d 1141, 1149.) “An IEP is a snapshot, not a retrospective.”) (Id. at p. 1149, citing Fuhrmann v. East Hanover Bd. of Education (3d Cir. 1993) 993 F.2d 1031, 1041.) It must be evaluated in terms of what was objectively reasonable when the IEP was developed. Did Norwalk deny Student a FAPE during the 2005-2006 school year by violating its child find obligation? 20. Based upon Factual Findings 1 through 25, and Legal Conclusions 1 through 5 and 9 through 19, Norwalk did not violate its child find obligation to assess Student. Norwalk had no knowledge, or reason to suspect, that Student had a disability or needed special education services to address any disability. Did Norwalk deny Student a FAPE during the 2005-2006 school year by failing to perform an FAA of Student? 21. Based upon Factual Findings 1 through 27, and Legal Conclusions 1 through 19, Norwalk did not deny Student a FAPE by failing to perform an FAA of Student. Norwalk had no knowledge, or reason to suspect, that Student had a disability or needed special education services to address any disability, and Mother did not request any assessment or FAA. Did ABC deny Student a FAPE during the 2006-2007 school year by failing to properly assess Student? 22. Based upon Factual Findings 1 through 55, and Legal Conclusions 1, and 3 through 19, ABC did not deny Student a FAPE during the 2006-2007 school year, as it appropriately assessed Student. Did ABC deny Student a FAPE during the 2006-2007 school year by failing to find Student eligible for special education under the category of OHI? 23. Based upon Factual Findings 1 through 61, and Legal Conclusions 1, and 3 through 19, ABC did not deny Student a FAPE during the 2006-2007 school year by failing to find Student eligible for special education under the category of OHI. The evidence did not demonstrate that Student met the eligibility criteria for OHI at the time of the February 2, 2007 IEP meeting at which the IEP team determined that Student was not eligible. Did ABC deny Student a FAPE during the 2006-2007 school year by offering placement in a general education classroom with a one-to-one aide and by failing to offer social/emotional support services that met Student’s unique needs? 24. Based upon Factual Findings 1 through 102, and Legal Conclusions 1, and 3 through 19, ABC District did not deny Student a FAPE during the 2006-2007 school year by offering the general education placement, and one-to-one and other services incorporated into the IEP. Student progressed in his academics, progressed in his behaviors, and received an educational benefit as a result of the placement and services provided by the IEP. Did ABC District deny Student a FAPE during the 2006-2007 school year by failing to perform an FAA? 25. Based upon Factual Findings 1 through 106, and Legal Conclusions 1, and 3 through 19, ABC did not deny Student a FAPE during the 2006-2007 school year by failing to perform an FAA. Student’s Mother and Grandfather were able to participate in his educational program, and Student did not lose any educational opportunities by reason of the District’s failure to perform an FAA. Nevertheless, in his due process request, Student has requested that an FAA be performed, and Student continues to have behavioral and socio-emotional difficulties. These factors can prevent the implementation of Student’s IEP and negatively affect his ability to meet his IEP goals. Therefore, ABC should perform an FAA, at its expense. Student is not entitled to an independent FAA, since Student is not challenging an FAA that ABC already performed, and since ABC did not deny a FAPE. 1. Student is entitled to an FAA, to be performed by ABC personnel, at ABC expense, within thirty (30) days of the date of issuance of this Decision. An IEP should be convened within the statutory time after the FAA is completed so that the IEP team may discuss the results and decide upon the appropriate course of action. 2. All other relief sought is denied. Education Code section 56507, subdivision (d), requires that this Decision indicate the extent to which each party prevailed on each issue heard and decided in this due process matter. Pursuant to this mandate, it is determined that the Norwalk District prevailed on all issues pertaining to it, that ABC prevailed on issues 3, 4, 5, and part of 6, and that Student prevailed on part of issue 6.